VAUGHAN, ON--(Marketwired - October 03, 2016) - Teledyne Optech is pleased to announce it has partnered with The Ocean Cleanup in their Aerial Expedition research mission, where the Optech CZMIL (Coastal Zone Mapping and Imaging Lidar) successfully carried out the first of a series of low-speed, low-altitude survey flights across the Great Pacific Garbage Patch. Every year, about eight million tons of plastic enters the oceans. Part of the trash accumulates in 5 ocean garbage patches, the largest is located between Hawaii and California. Plastic in these garbage patches over time breaks down into tiny plastic particles that can be eaten by fish and birds, thereby entering the food chain. The Ocean Cleanup's Aerial Expedition uses a combination of experienced human observers and advanced sensors to count the debris in the Great Pacific Garbage Patch, with a focus on the presence of so-called ghost nets. The sensors will also be used to convert this count to a weight estimate by registering the size of the found objects. In the case of ghost nets, a substantial part of the net will float underwater. To properly measure how far the plastic reaches under the surface, The Ocean Cleanup project used the CZMIL's green lidar, which can detect objects to depths of tens of meters. As part of The Ocean Cleanup's Aerial Expedition, the Optech CZMIL surveyed hundreds of square kilometers of the Patch aboard a C-130 Hercules aircraft. Its Optech HydroFusion software suite will combine this lidar data with information from the CZMIL's RGB camera and an ITRES SASI-600 short-wave infrared sensor to create the first 3D visualization of the Patch and help identify the number, size and type of plastic objects present. "We wanted state-of-the-art sensor technology to supplement the visual observations of our survey team with the data from our Mega Expedition, and to finalize the first detailed plastic data map of the Great Pacific Garbage Patch", says Boyan Slat, CEO and founder of The Ocean Cleanup. "In Teledyne Optech we found exactly that partnership, which is helping us to get another step closer to get to the largest cleanup in history." "Teledyne Optech has a long history of developing technology for environmental monitoring -- in fact, our very first project back in 1974 was a lidar instrument for measuring airborne effluent plumes around coal-burning power plants," said Michel Stanier, General Manager of Teledyne Optech. "Teaming with The Ocean Cleanup on their Aerial Expedition is a perfect fit for our capability and expertise in lidar and sensor fusion technology. We are extremely pleased to be a partner on this project and help The Ocean Cleanup deal with such a major issue for our planet!" Founded in 2013 by then 18-year-old Boyan Slat, The Ocean Cleanup now employs approximately 50 engineers and researchers. The foundation is headquartered in Delft, The Netherlands. Instead of going after plastic debris with vessels and nets -- which would take many thousands of years and billions of dollars to complete -- The Ocean Cleanup is designing a passive network of extremely long floating barriers that will remain stationary in the water, enabling the ocean to concentrate the plastic using its own currents. In preparation for full deployment in 2020, The Ocean Cleanup in the summer of 2015 organized the Mega Expedition, in which 30 vessels crossed the Great Pacific Garbage Patch simultaneously to produce the first high-resolution map of the plastic pollution problem. Meanwhile, the team has advanced its design through a series of rapid iteration scaling-up tests. The latest step in this process was the North Sea prototype, that was deployed in June 2016. The next milestone for The Ocean Cleanup will be its Pacific Pilot, which is foreseen to be launched in the second half of 2017. Teledyne Optech, a Teledyne Technologies company (NYSE:TDY), is the world leader in high-accuracy lidar 3D survey systems, integrated cameras, and productivity-enhancing workflows. With operations and staff worldwide, Teledyne Optech offers both standalone and fully integrated lidar and camera solutions for airborne mapping, airborne lidar bathymetry, mobile mapping, terrestrial laser scanning, mine cavity monitoring, and industrial process control, as well as space-proven sensors. Teledyne Optech supports its clients with an around-the-clock team, on-site service, and regular efficiency enhancements to the workflow of its integrated systems. Accuracy and productivity matter! 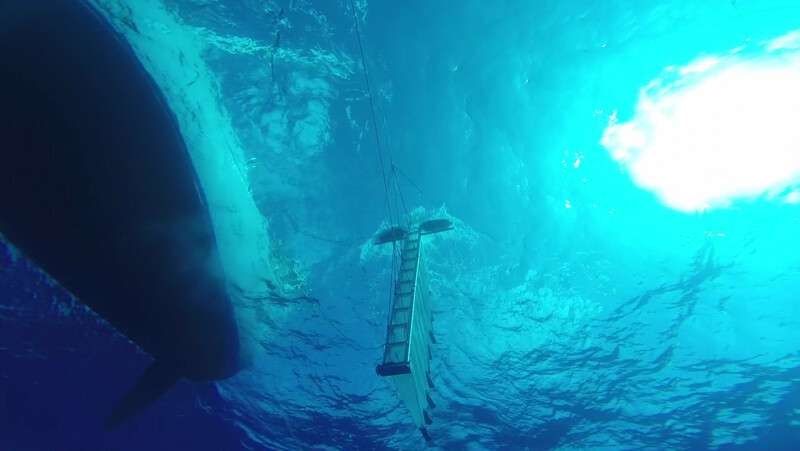 Teledyne Technologies is a leader in advanced instrumentation for ocean science and other marine applications, and has provided thousands of autonomous sensor systems to continuously monitor ocean temperatures around the globe. In addition, Teledyne's advanced electronic instrumentation plays an important role in air quality monitoring and pollution control.